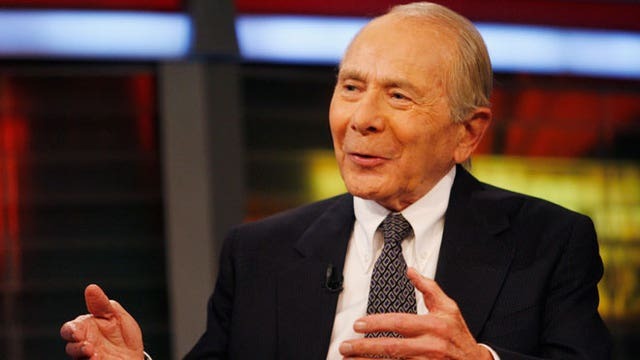 FBN’s Liz Claman with exclusive details on former AIG CEO Hank Greenberg’s expected testimony in the AIG bailout trial. The central figure in the landmark $40 billion case against the United States government regarding the bailout of American International Group Inc. (NYSE:AIG) will take the witness stand later this week in Washington D.C, possibly as early as Thursday, sources close to the matter tell the FOX Business Network. The Department of Justice confirmed to the FOX Business Network that former AIG CEO Maurice “Hank” Greenberg is on the witness list for this week, and sources exclusively tell FBN he “will be called Thursday or Friday” to testify in what has become the most closely- watched case related to the financial crisis. Greenberg, who sued the government through his investment and charitable firm Starr International, will be called to the stand by government attorneys. Greenberg’s own lawyer David Boies will then cross-examine the 89-year-old insurance executive who ran AIG for decades. Mr. Boies’ media representatives confirmed to FBN they received a letter from the Justice Department calling Mr. Greenberg to Washington this week. Federal Claims Court is not in session Monday or Tuesday, due to the Veterans Day holiday. Mr. Greenberg’s appearance at the now 6-week long landmark trial in U.S. Court of Federal Claims will no doubt heat up the trial which has seen a parade of government figures called to the stand, ranging from former Treasury Secretaries Hank Paulson and Timothy Geithner to former Federal Reserve Chairman Ben Bernanke. At issue: whether the government’s 2008 bailout of the insurance giant amounted to unconstitutional seizure of company shareholders’ investments, or whether AIG was in a must-save position due to a liquidity crisis stemming from extended coverage of bets made by banks including Goldman Sachs that involved subprime mortgage instruments that soured. Greenberg and other AIG shareholders have argued the government bailed out AIG without exploring other options, which Greenberg in the past has contended he could have facilitated first. The government has argued time was of the essence and that a crisis allowed to fester at AIG would have severely impaired the banking system and devastated market confidence. While Greenberg had departed AIG three years earlier, he had remained its largest single shareholder and has vehemently argued the government imposed onerous bailout terms on AIG which resulted in massive shareholder losses. Boies, Greenberg’s lead attorney, is considered among the nation’s strongest litigators and has been closely watched during the trial, as have government attorneys who are expected to query Mr. Greenberg about private solutions to the AIG crisis. Greenberg has said he could have effectuated in a timely fashion. Sources tell FOX Business if Greenberg isn’t called Thursday or Friday, his appearance could be pushed to next week.